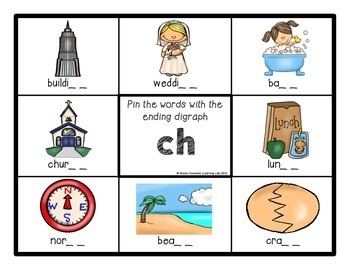 Ending digraphs can be tricky! 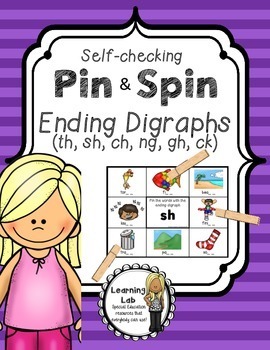 These Pin & Spin cards are perfect for literacy centers to practice ending digraphs. Each card has three correct answers. The cards are self-checking so the students can work independently! All of the Pin & Spin sets are perfect for centers! 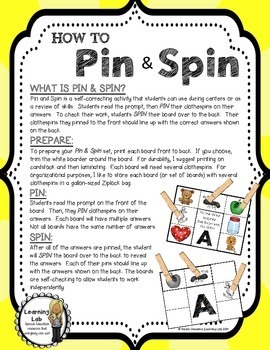 11 individual, double sided (self-checking) full-page Pin & Spin cards for each ending blend listed (2 each for ending digraphs th, sh, ch, ng, and ck. 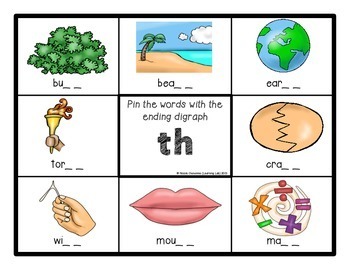 1 for ending digraph gh). The front is in full color and the back is in greyscale to save ink.